The planning and creation of web pages in order to be accessible, attractive, and user-friendly is called Web Design. Information architecture, layout, fonts, site structure, navigation etc. 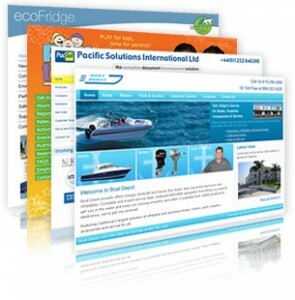 are some of the important elements that need to be incorporated in a good web design. The first browser program was released in the 1990s by the name of Mosaic. At this time the only coding language was HTML and all websites were confined within its constraints. Web designs at this time had very little colour, linear graphics and a lot of text. These are known as first generation websites. The Netscape browser was released in 1994, which began creating its own tags. During 1992-1994, developers started creating their own pieces of HTML codes. Thus, HTML2 was born so as to minimize the confusion of the HTML1 tags. Now people had a little more freedom, coding got a bit more complex and more graphics were seen. By 1995, the number of tags increased even more. Microsoft released their Internet Explorer. Websites became much more colourful, with patterned backgrounds and animated images, because of .gif. The introduction of flash became another major change, which changed the whole idea of website design. Mobile web design addresses the two main components of a good web experience; availability and usability. Mobile websites are designed to load faster, with little data costs. Basically, what designers do is simplify everything and fit it on a smaller screen. Mobile web design is all about simplicity. Layout is the way things are arranged on a page. The key is to have users see the thing they are looking for at the first look, and make everything easy to navigate. Colour depends on the type of website and the people it is supposed to attract. Graphics which include images, logos, or icons have to placed in accordance with the colour and content of the page. Fonts can be used to make your page attractive, but most browsers only recognize a certain number of fonts, so you have to work within that area. Content and design have to work hand in hand in order to deliver the relevant information in an easy, user-friendly way. Web Design is the first step towards building your website. A designer needs to have the skills required to create a good, straightforward, and friendly UI. He needs to know how to write and use words, how to structure a website’s different portions together into one whole. Planning is the key in every web design. You need to carefully plan what to put on your page and where to put it. All these factors amount to the success or failure of any web page, and are important to consider if you want your business and credibility to grow.